We all have a capable, competent side that can handle life like a boss. The problem comes when that doubt-filled side casts a shadow on your capable side and you feel stuck throughout your life. I’ve struggled with this since I started my business. My insecurities and shame around earning my own living (aka money stuff) clouded over my natural confidence in my work – a confidence that was well earned as a top strategist in the government. But I’ve recently found a path forward that’s allowed me to show up powerfully and clearly in my work (have you’ve noticed?? 🙂) AND still be learning and growing personally. 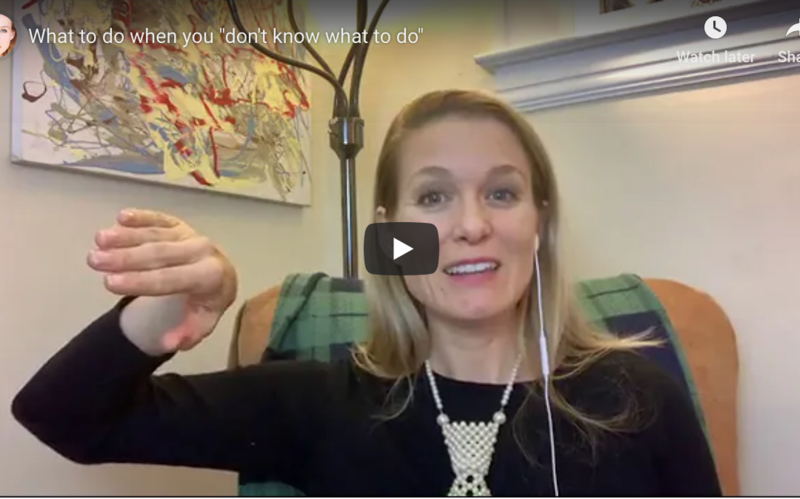 In this video, you’ll discover a quick tip to separate the “pro” you from the “still learning” you, so you can feel confident and back in the flow of action. Want to chat privately about your life?